Indian equity markets witnessed consolidation in early afternoon trade on Wednesday after having seen heavy selling pressure in the past three trading sessions. 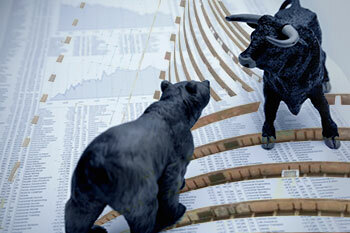 The Nifty was trading 24 points higher at 10,855 while Bank Nifty was 52 points higher at 27,063. Adani group stocks witnessed a sharp surge with the likes of Adani Power and Adani Ent. trading 8.25% and 5.9% higher respectively. Among sectors, Nifty Realty was the top gainer, up 0.93%. On the options front, call writing continued to be witnessed in out of the money strikes with Nifty 10900CE and 11000CE witnessing an addition of ~6 lakh shares and ~7.14 lakh shares respectively (14th Feb Expiry).